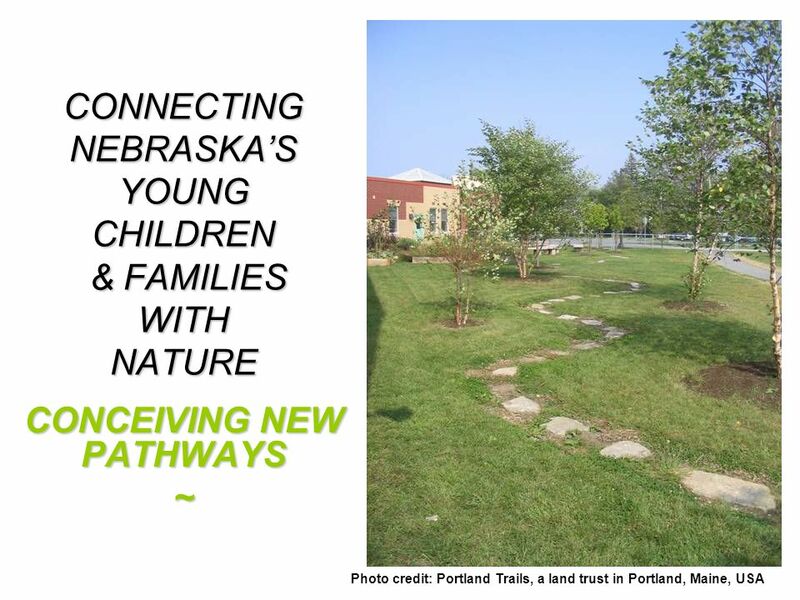 CONNECTING NEBRASKA’S YOUNG CHILDREN & FAMILIES WITH NATURE CONCEIVING NEW PATHWAYS ~ Photo credit: Portland Trails, a land trust in Portland, Maine, USA. 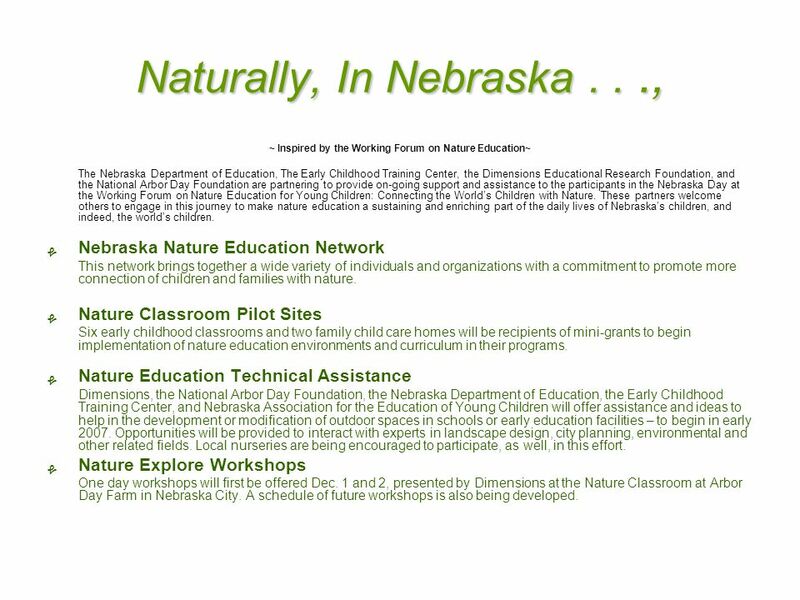 11 Naturally, In Nebraska..., ~ Inspired by the Working Forum on Nature Education~ The Nebraska Department of Education, The Early Childhood Training Center, the Dimensions Educational Research Foundation, and the National Arbor Day Foundation are partnering to provide on-going support and assistance to the participants in the Nebraska Day at the Working Forum on Nature Education for Young Children: Connecting the World’s Children with Nature. 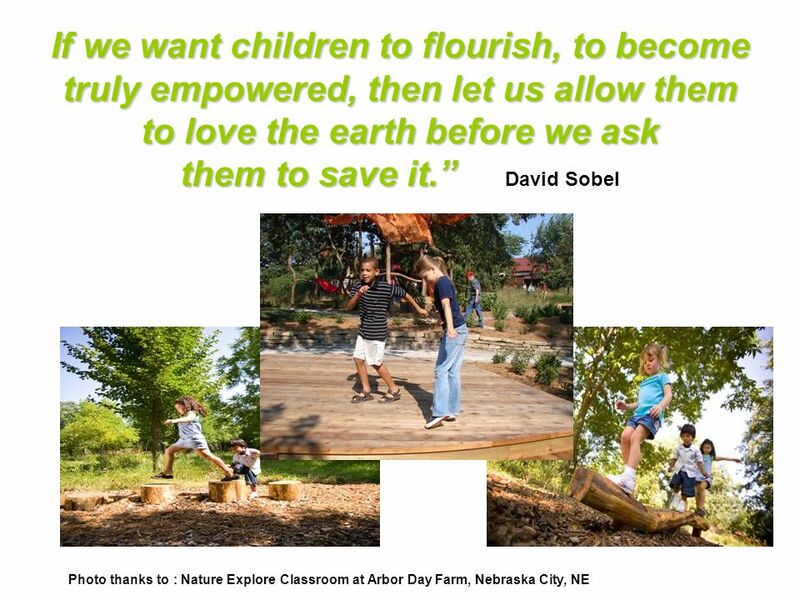 These partners welcome others to engage in this journey to make nature education a sustaining and enriching part of the daily lives of Nebraska’s children, and indeed, the world’s children. 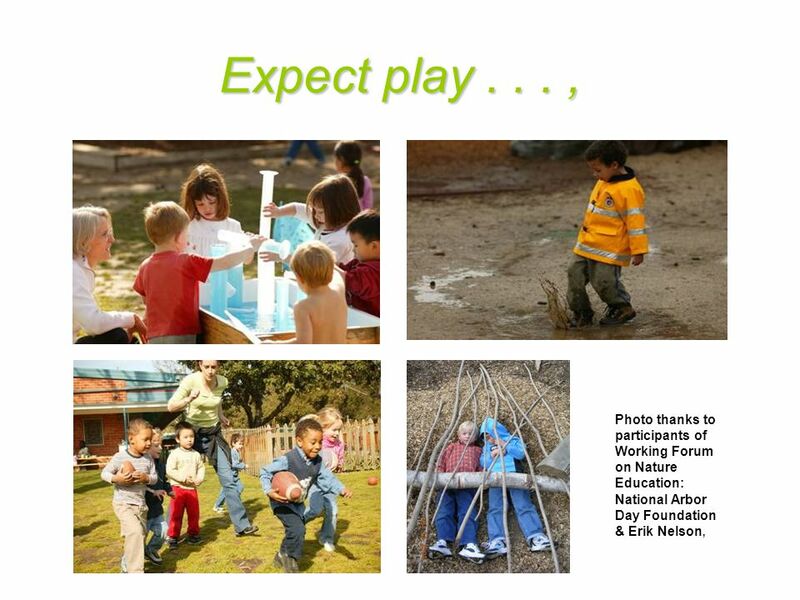 ﮭ Nebraska Nature Education Network This network brings together a wide variety of individuals and organizations with a commitment to promote more connection of children and families with nature. 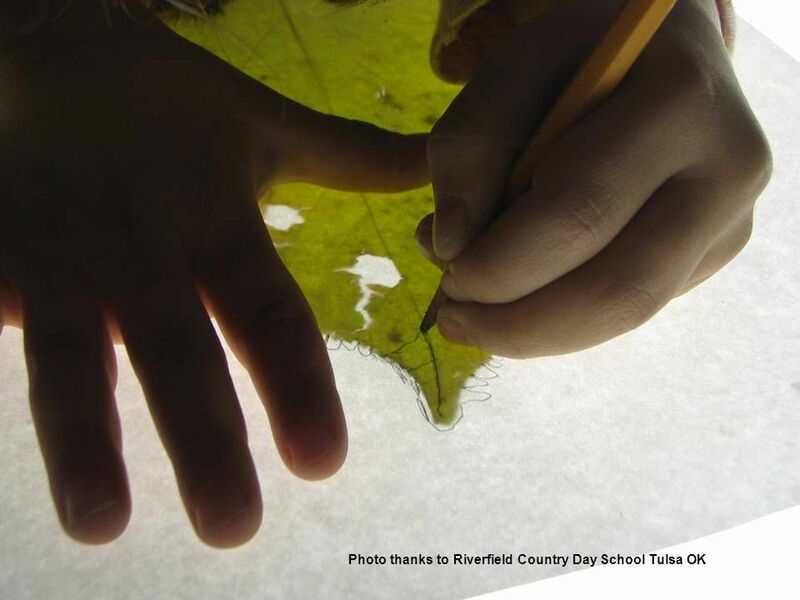 ﮭ Nature Classroom Pilot Sites Six early childhood classrooms and two family child care homes will be recipients of mini-grants to begin implementation of nature education environments and curriculum in their programs. 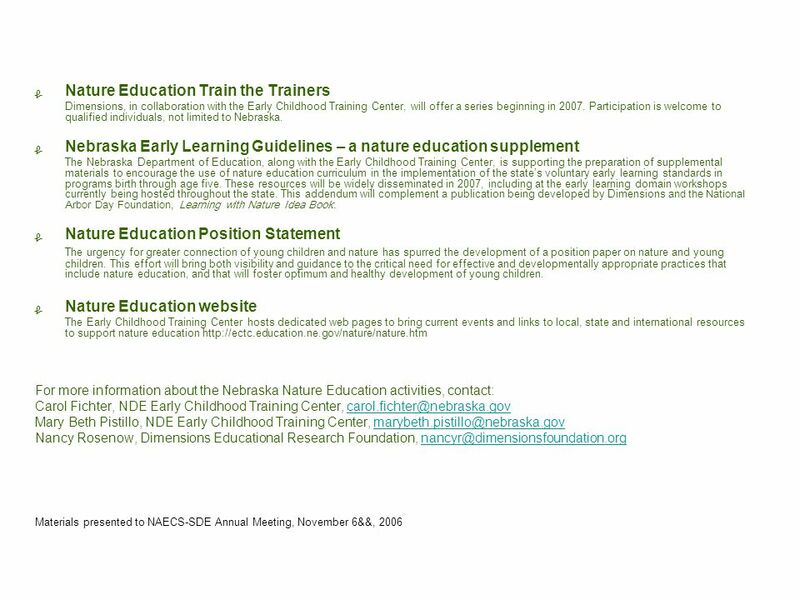 ﮭ Nature Education Technical Assistance Dimensions, the National Arbor Day Foundation, the Nebraska Department of Education, the Early Childhood Training Center, and Nebraska Association for the Education of Young Children will offer assistance and ideas to help in the development or modification of outdoor spaces in schools or early education facilities – to begin in early 2007. Opportunities will be provided to interact with experts in landscape design, city planning, environmental and other related fields. 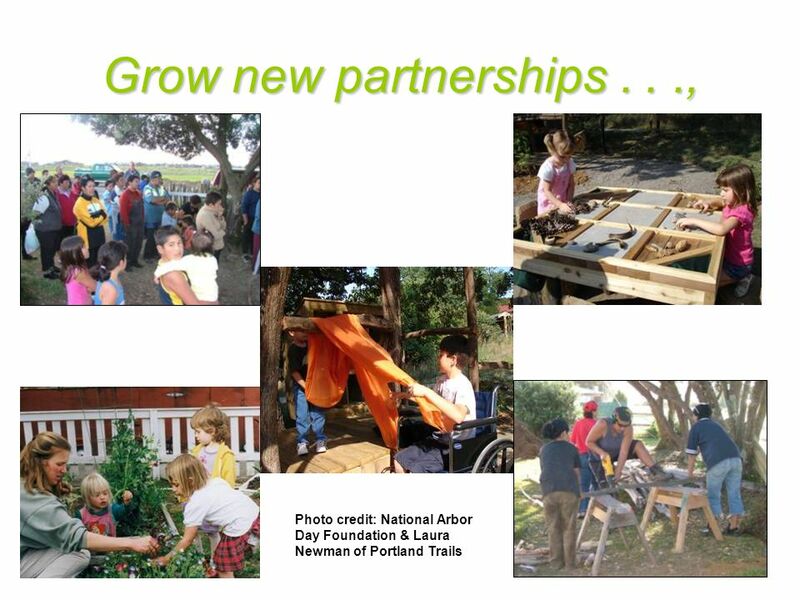 Local nurseries are being encouraged to participate, as well, in this effort. 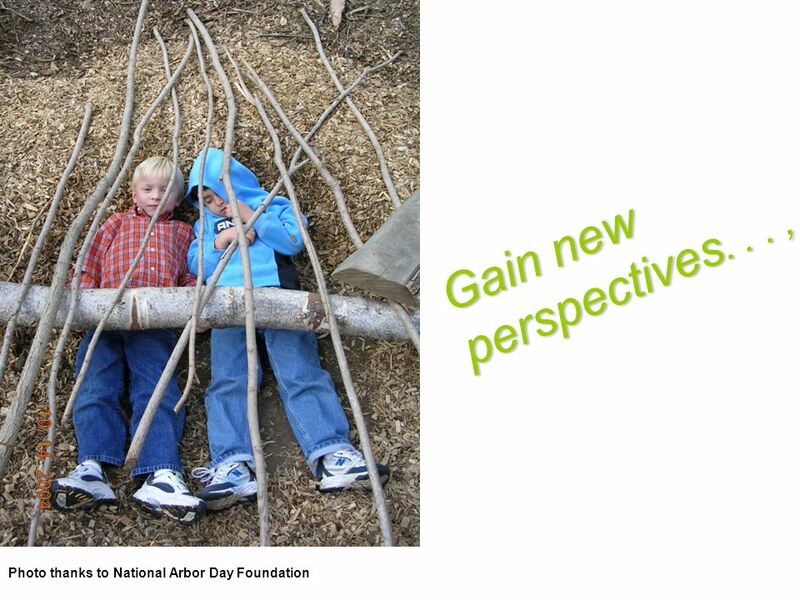 ﮭ Nature Explore Workshops One day workshops will first be offered Dec. 1 and 2, presented by Dimensions at the Nature Classroom at Arbor Day Farm in Nebraska City. A schedule of future workshops is also being developed. 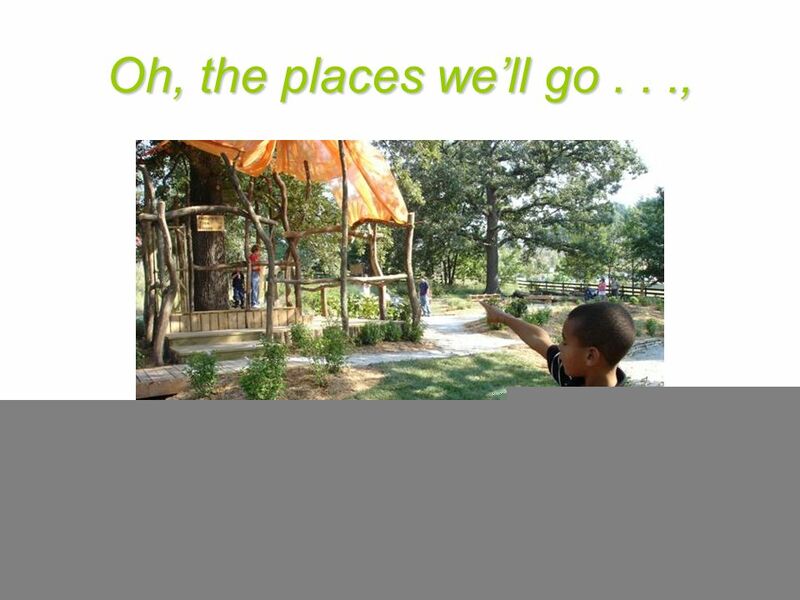 Download ppt "CONNECTING NEBRASKA’S YOUNG CHILDREN & FAMILIES WITH NATURE CONCEIVING NEW PATHWAYS ~ Photo credit: Portland Trails, a land trust in Portland, Maine, USA." BEN Volunteering by Third Country Nationals Experiences and Lessons from the Environmental Sector Judy Ling Wong FRSA. OBE. HonFCIWEM Director UK Black. Presentation to CHA/CHIP Work Groups August 17, 2012 Meredith Bossin Planning & Development Review. California Preschool Learning Foundations California Department of Education Child Development Division. Grade-level Parent Meetings. Grade-level Parent Meetings are a great way to build meaningful relationships with families. The meetings are a way to: Welcome. 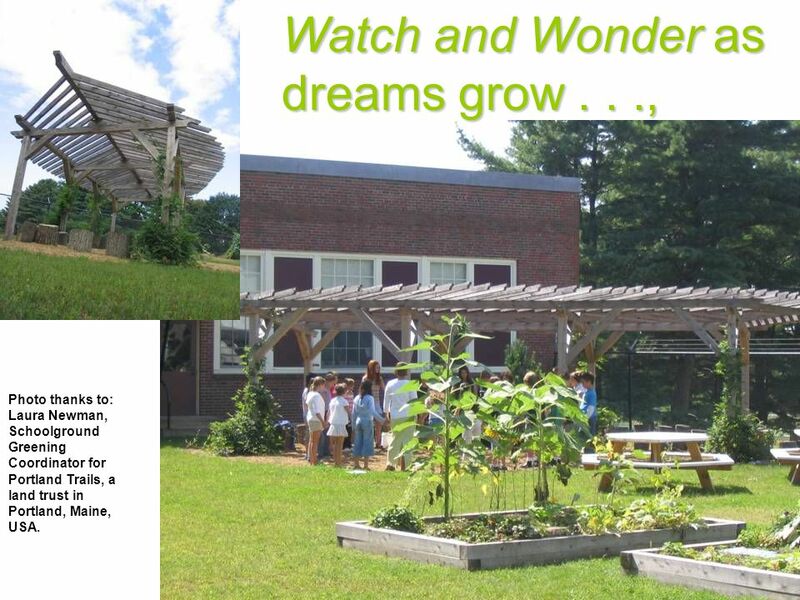 Outdoor & Environmental Education LINCK and Nature Explore Classrooms. WELCOME School Family Meetings Saint Agnes School Building a Foundation of Faith. 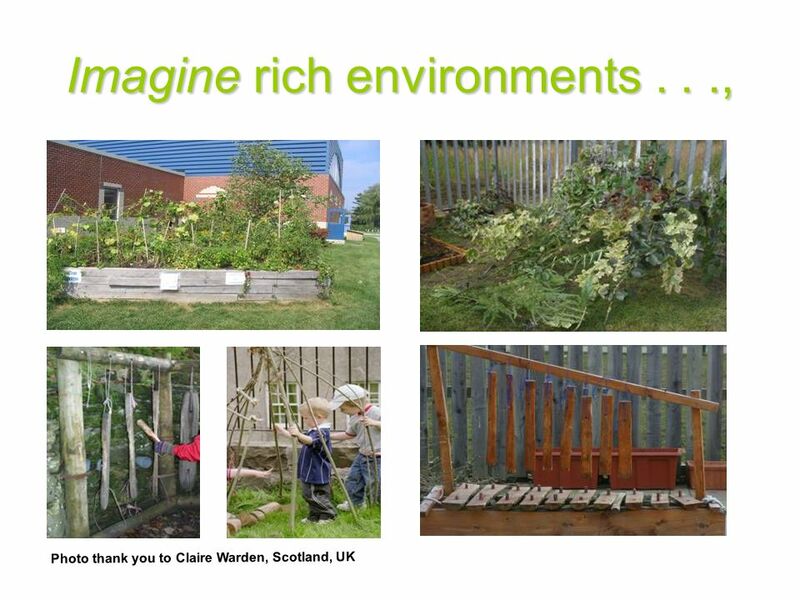 Learning Together and Wellbeing. What is Learning Together? A program for families with children birth to three years A focus on early literacy development. Anabelle O’Malley and Mary Sonnenberg Delaware Institute for Excellence in Early Childhood Using Growing, Moving, Learning: The Infant-Toddler Tool Kit. Welcome to the Community Sports Hubs Forum. Stephanie- Anne Harris Head of Sport & Physical Activity City of Edinburgh Council. Lockwood Information Night 2 Agenda PACE Video PACE Video General Overview General Overview Teachers Panel Teachers Panel Q&A Q&A Principal Principal. What is ECFE? Early Childhood Family Education (ECFE) is a program for all Minnesota families with children between the ages of birth to kindergarten. Strengthening Families through Early Care and Education Columbia, SC October 14, 2006. Creating National Guidance on Response to Intervention in Early Childhood: Updates on the DEC/NAEYC/NHSA Joint Position Statement Camille Catlett Virginia. Expansion, Enrichment, Endurance: Your Year‐Round Robotics Program Module 9. 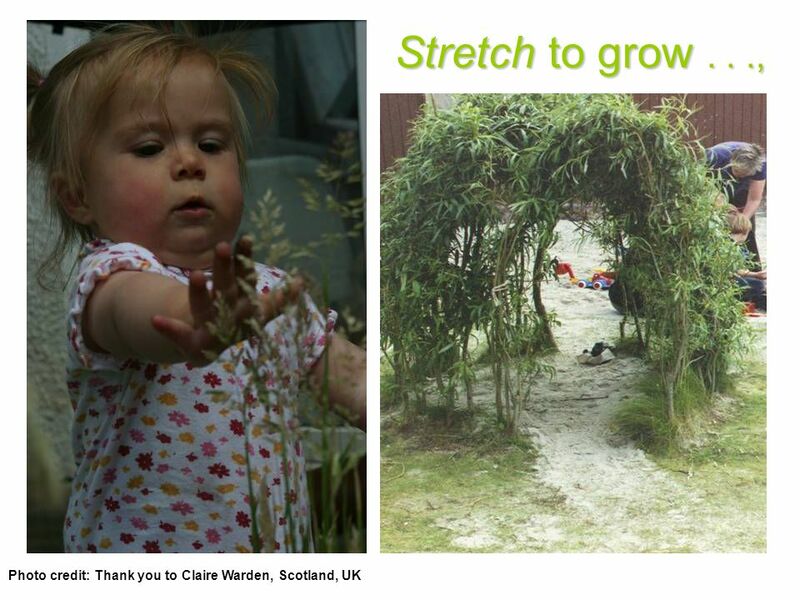 Child Care Basics Module Four.